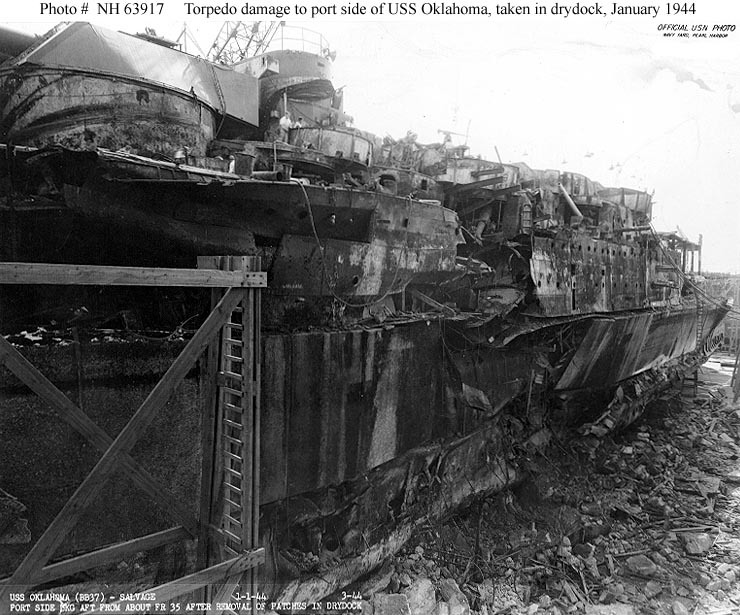 I first learned about the dangers of the salvage operations when I visited Pearl Harbor on an NJROTC cadet training cruise in the spring of 1978. 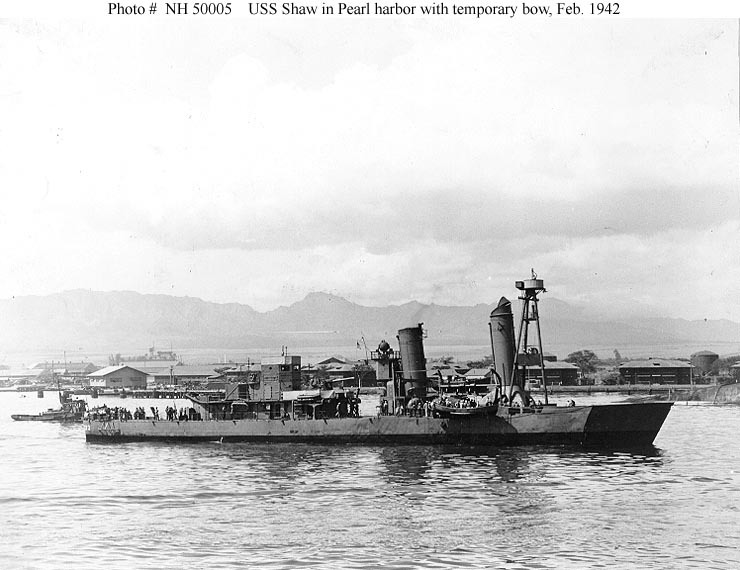 During the week we spent in Pearl between the outbound leg on the USS Frederick LST-1184 and our return to California aboard the USS Gray FF-1054, we had a visit with the Navy dive team stationed at Pearl Harbor. 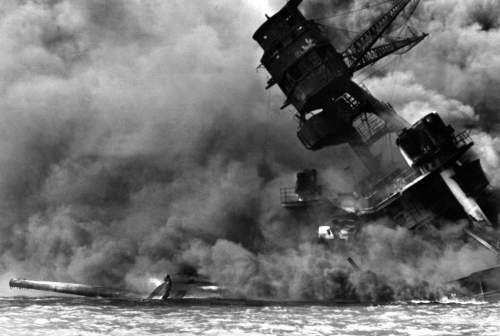 They explained how they did their jobs as well as the dangers still encountered diving on the wreck of the USS Arizona. 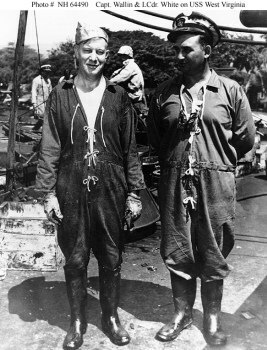 The divers wore were rubberized coveralls with gloves. 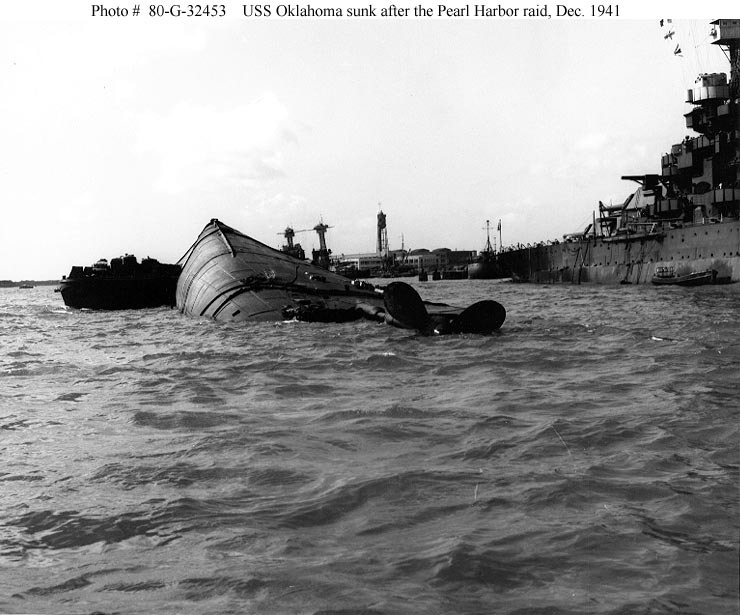 The divers were equipped with a lead-weighted belt which weighed 84 pounds and lead-weighted shoes, each of which weighed 36 pounds. 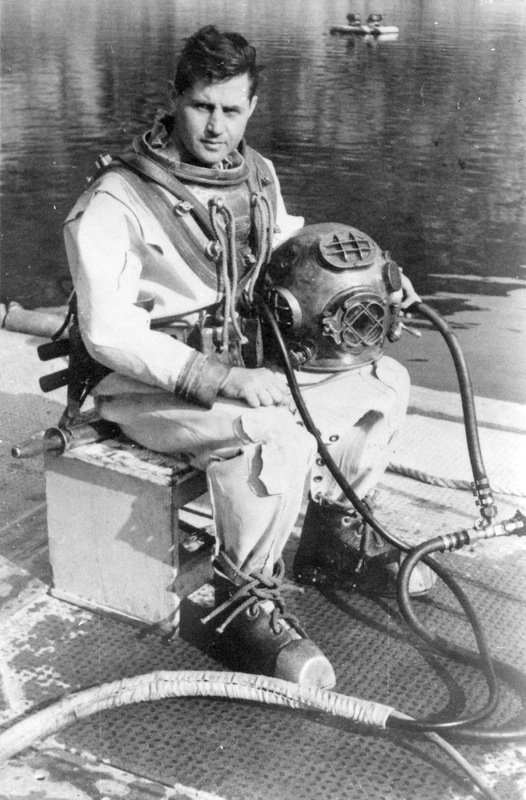 Each diver wore a copper helmet attached to a breastplate. Air was supplied through a hose which was attached to the helmet and ran up to a compressor monitored by men on the surface. 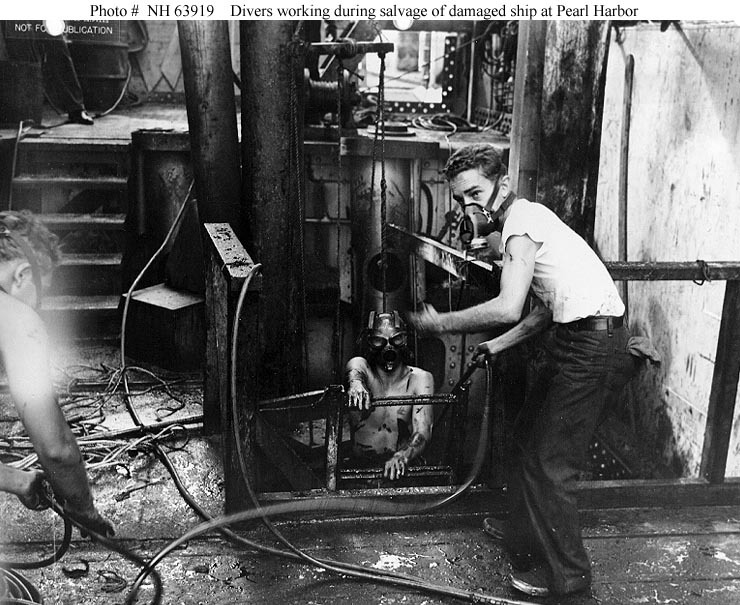 The work was extremely hazardous, the wrecked ships contained numerous hazards, any of which could cut his air hose and cause his death, and they also contained highly toxic gasses. 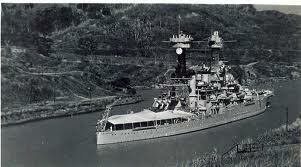 They often worked in total darkness and had to communicate with the men on the surface via a telephone cable. 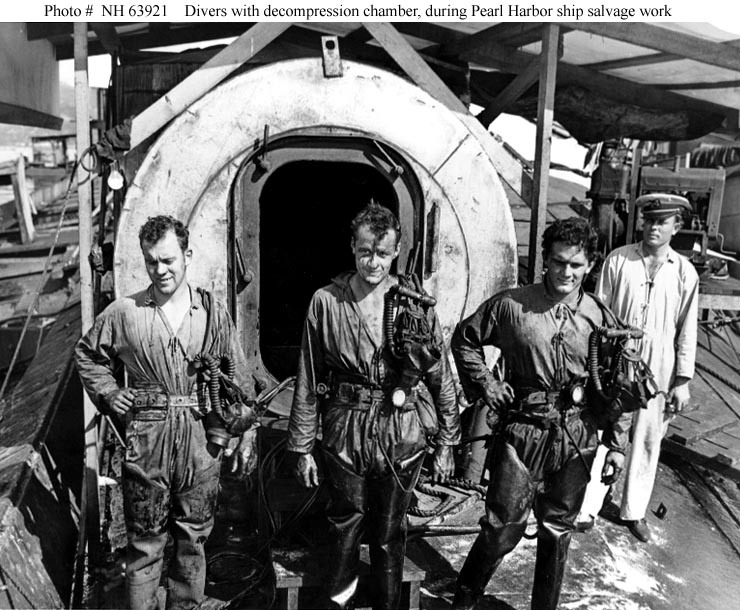 The divers had to be exceptionally talented to and needed a great amount of coordination senses and balance to work with welding torches, suction hoses, and heavy equipment in the confines of the shattered ships. 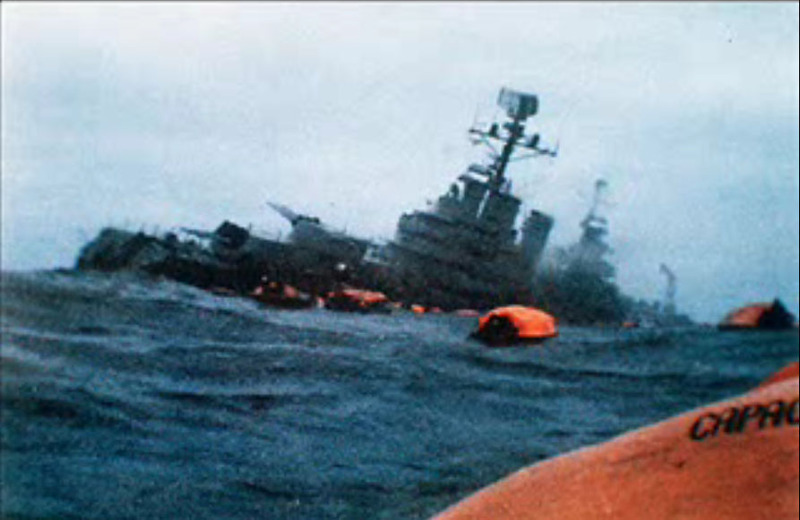 During the salvage operations a number of divers lost their lives. 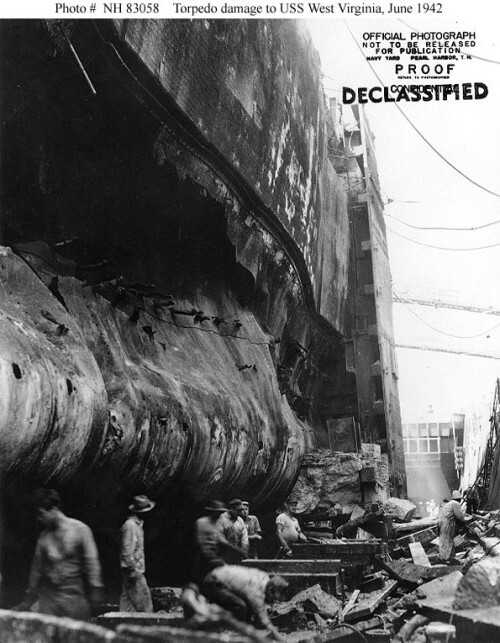 Before the ships could be raised ammunition, including the massive 14 and 16 inch shells weighing anywhere from 1300 to 2000 pounds each, Japanese bombs and torpedoes, fuel oil, gasoline, electrical equipment and batteries, weapons, and whenever possible the bodies of the entombed crews had to be removed, and then every hole had to be patched to make them buoyant. 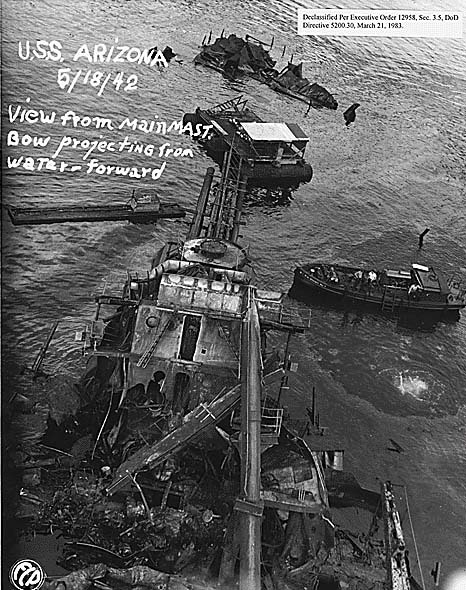 After the ships were raised cleanup crews had to go aboard and clear the ships of other hazardous waste as repair crews began their work to repair the basic systems needed to get the ships to West Coast shipyards for the major overhauls, The herculean effort was one of the greatest engineering feats in maritime history. 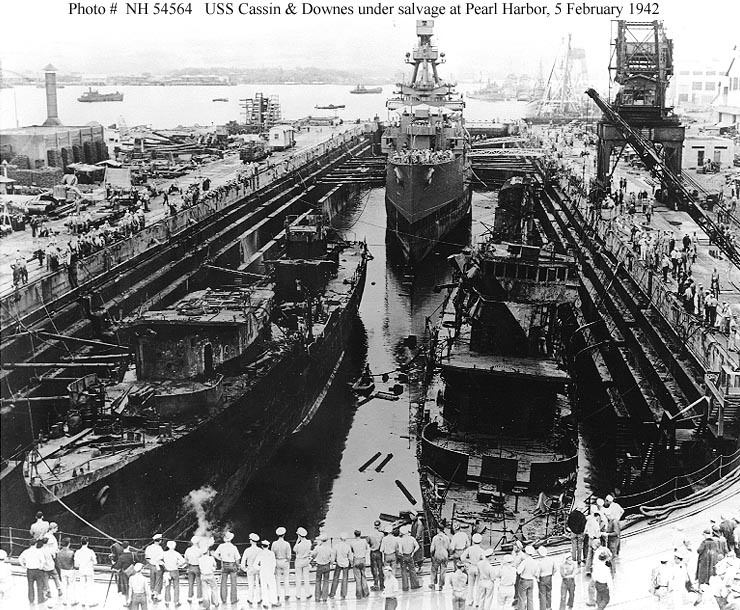 The Mahan Class destroyers Cassin and Downes were so badly damaged sitting in the Dry Dock Number One with Pennsylvania so that initially they were believed beyond salvage. 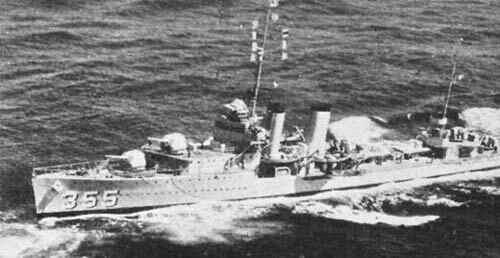 However after closer inspection it was determined that the hull fittings, main weapons systems and propulsion machinery on both ships were worth salvaging. 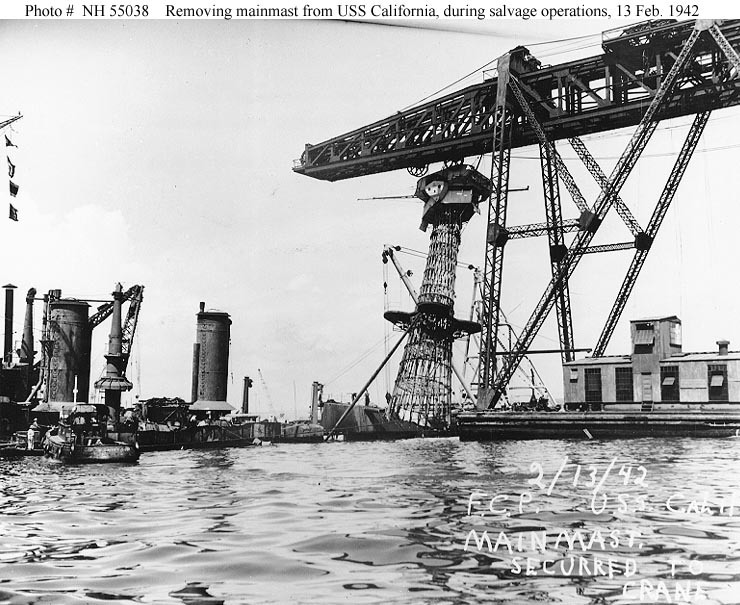 These items were removed, shipped to Mare Island Naval Shipyard and installed on new hulls being constructed. 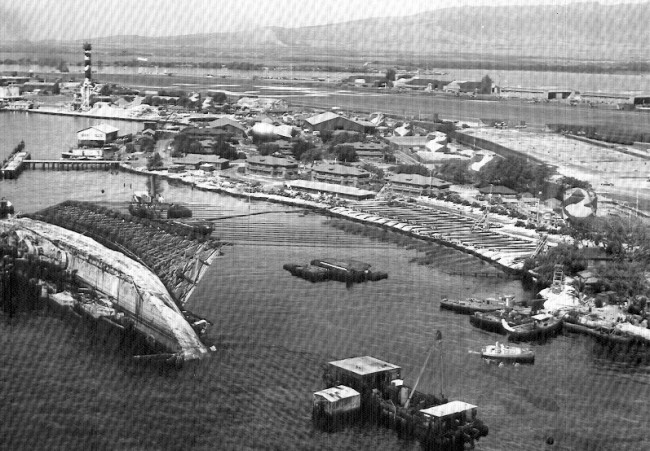 The hulks of the old ships were scrapped at Pearl Harbor. 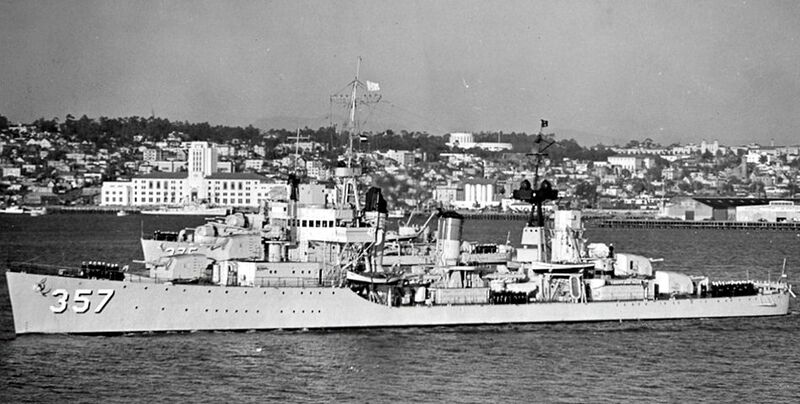 Those ships were commissioned as the Cassin and Downes and served throughout the war. 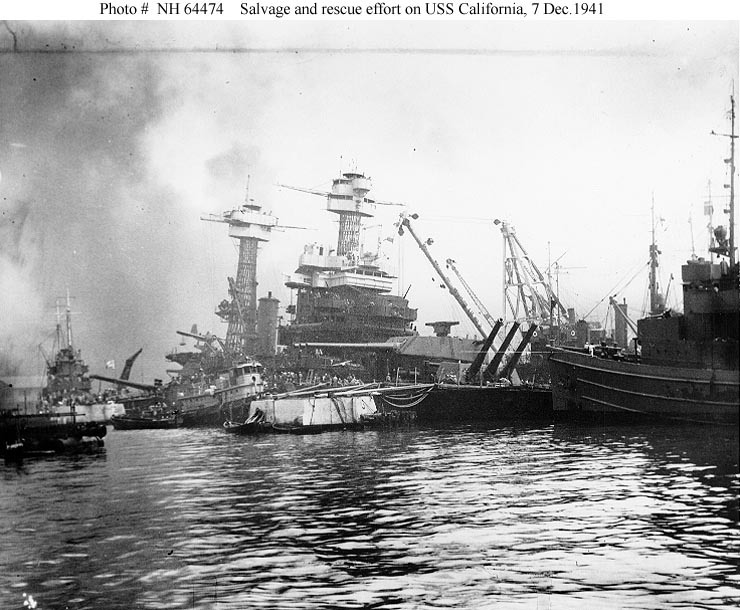 The salvage feat to return these ships to duty was one of the most remarkable operations of its type ever conducted. 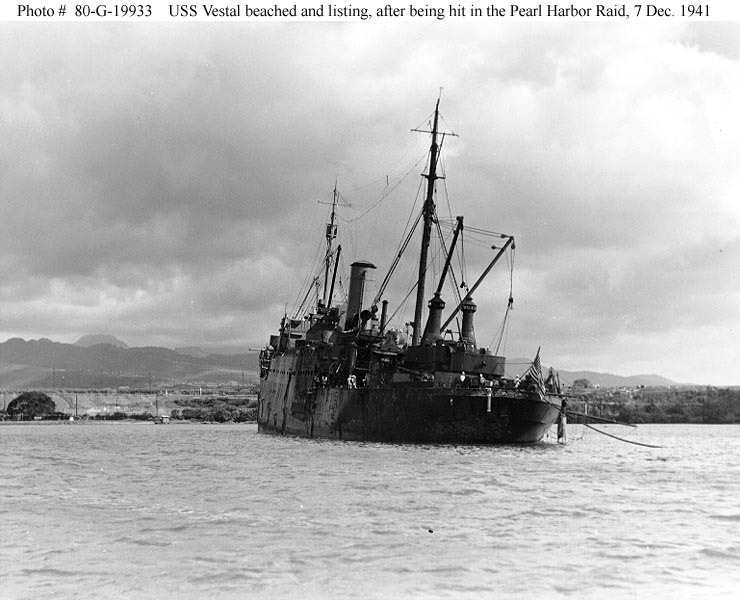 Not only were most of the ships salvaged but most returned to duty. 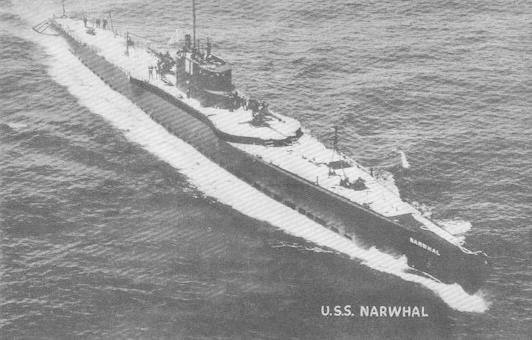 While none survive today many played key roles during the war. 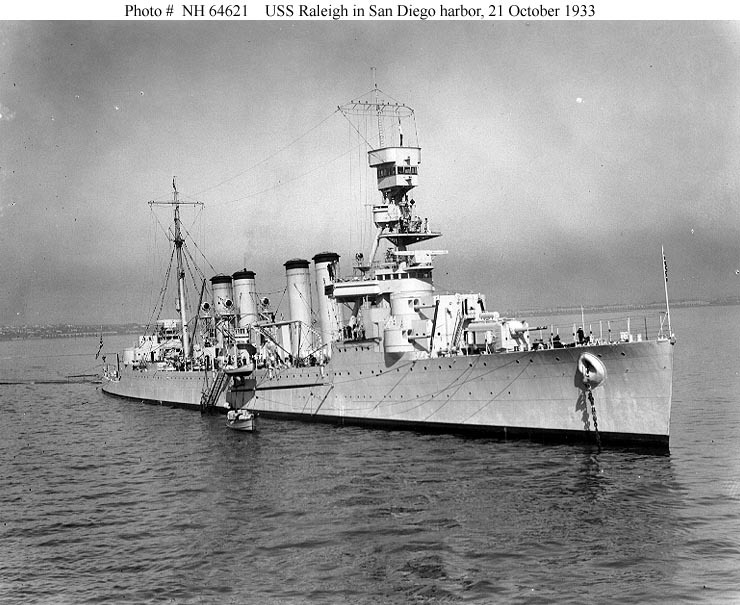 Artifacts of some of the ships are on display at various Naval Bases, Museums and State Capitals. 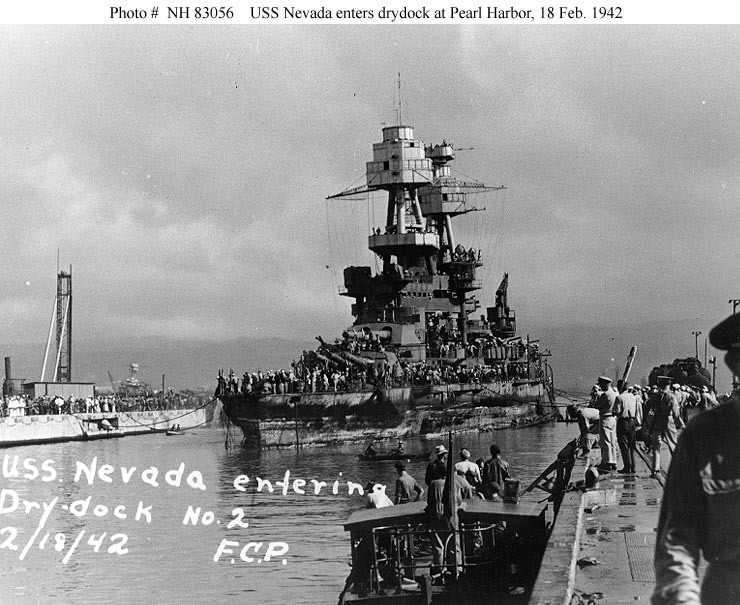 They, their brave crews, and the Navy Divers and civilian diving and salvage experts who conducted this task exhibited the finest traditions of the US Navy. 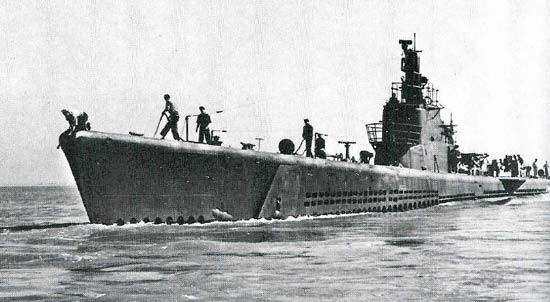 The successors of the Navy divers at Mobile Diving Salvage Units One and Two still carry on that tradition today. 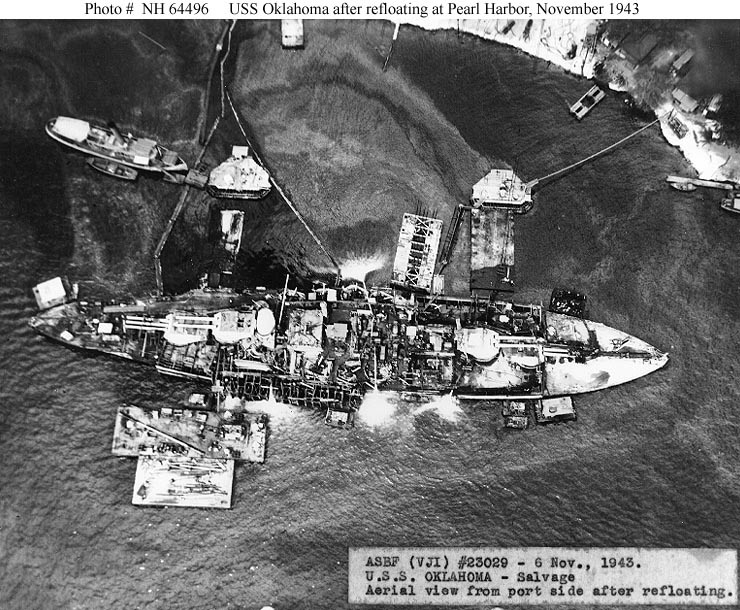 One of the more interesting aspects of the Pearl Harbor attack were the efforts of the US Navy to salvage and return to duty the ships sunk or so heavily damaged that they were thought to be irreparable after the attack. 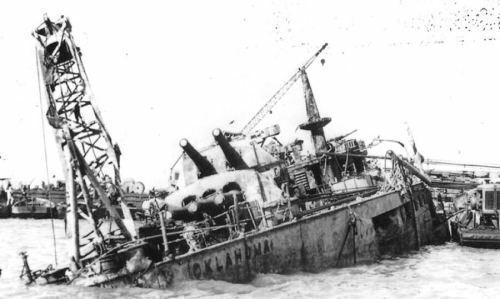 21 ships were sunk or damaged during the attack, roughly 20% of the fleet present. 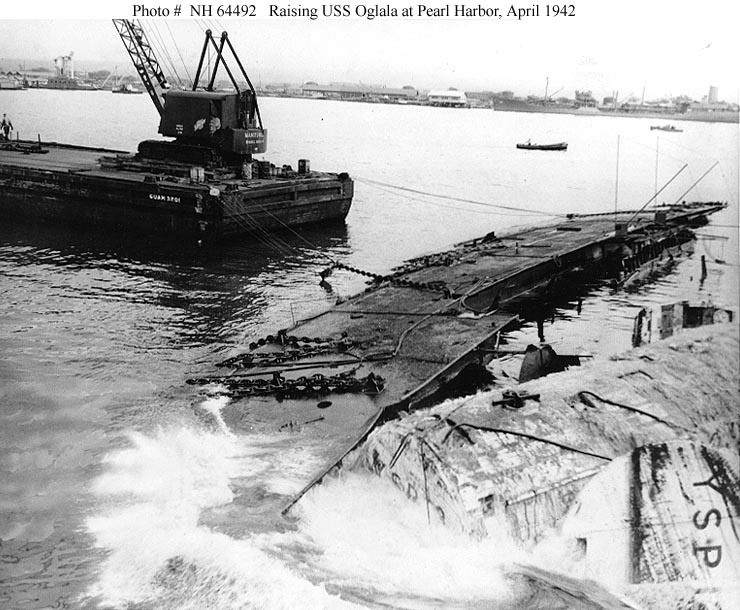 Even by modern standards the efforts of the Navy divers and salvage experts and the civilians who worked alongside them were amazing. 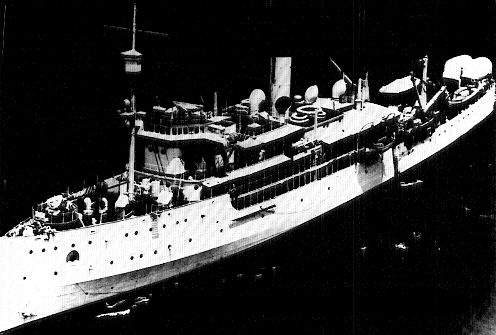 In the end only three of the 19 ships never returned to service. 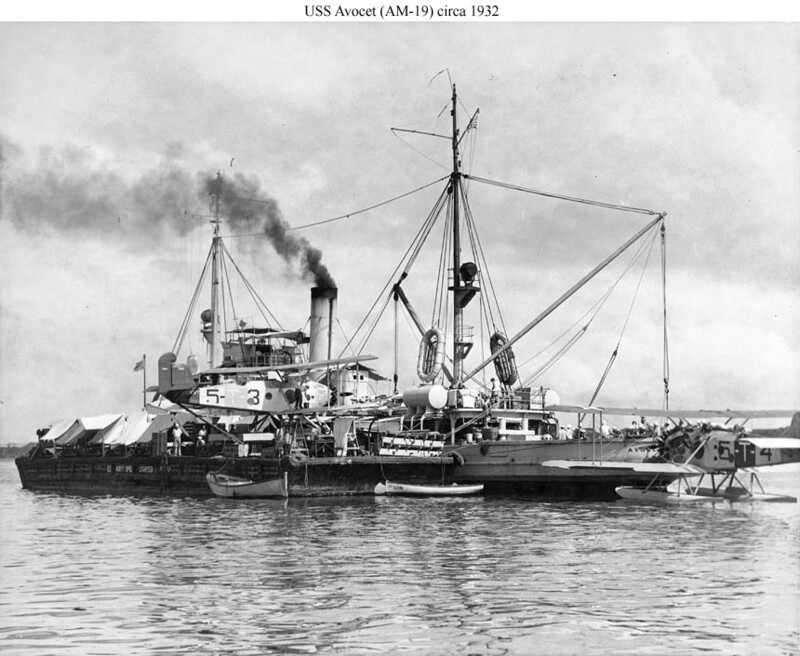 The work began quickly and on December 14th Commander James Steele began to direct the salvage operations on the sunken hulks. 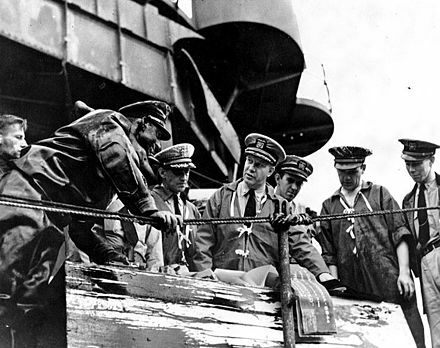 Captain Wallin relieved Steele on January 9th 1942. 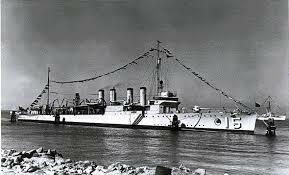 Wallin formed a salvage organization of Navy officers and civilian contractors.The civilian contractors were instrumental in the operation. 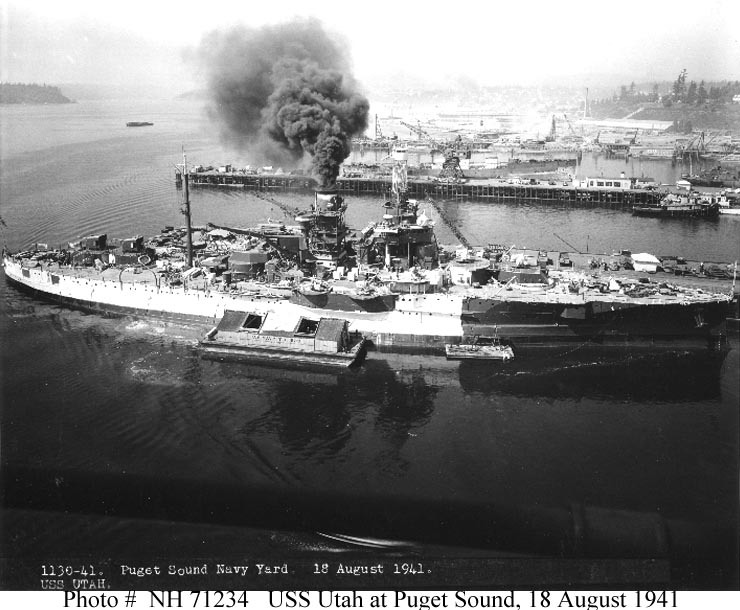 Many had experience in salvage operations that exceeded the military personnel. 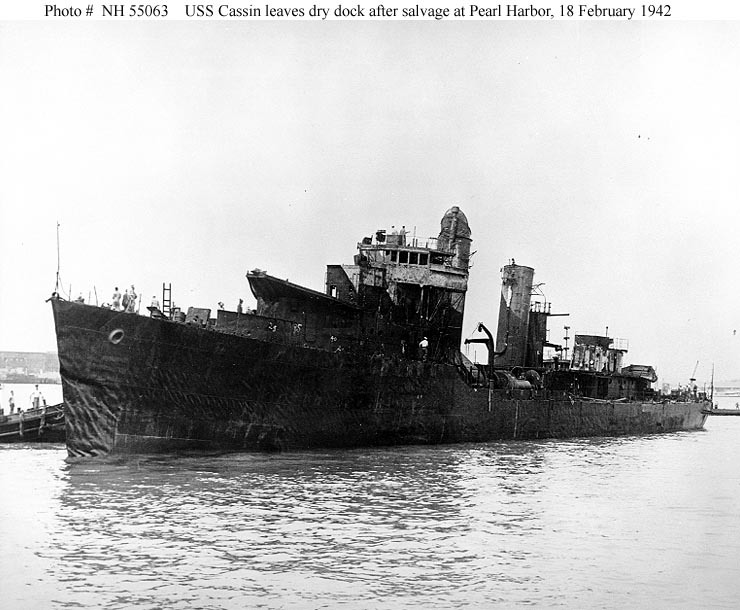 Wallin prioritized the tasks of his organization working to recover items that could be of immediate use to the fleet such as anti-aircraft guns and to salvage less damaged ships in order to return them to service. 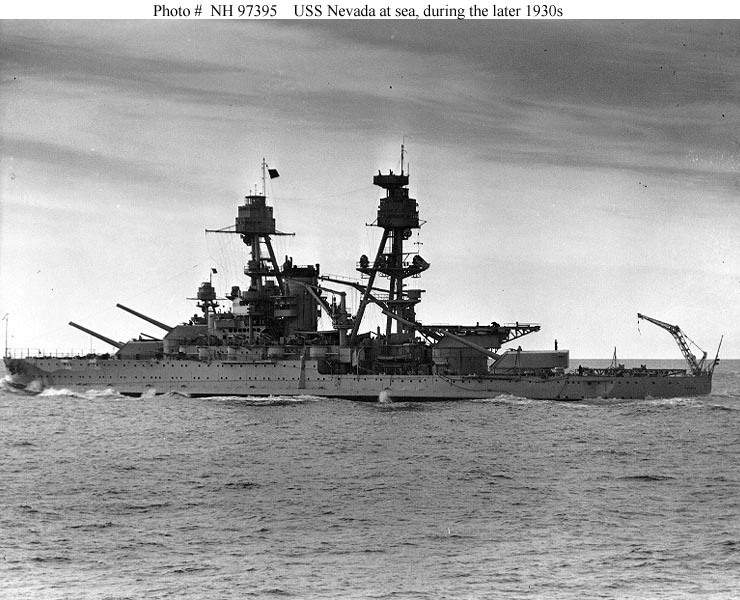 They worked at the task through 1944. 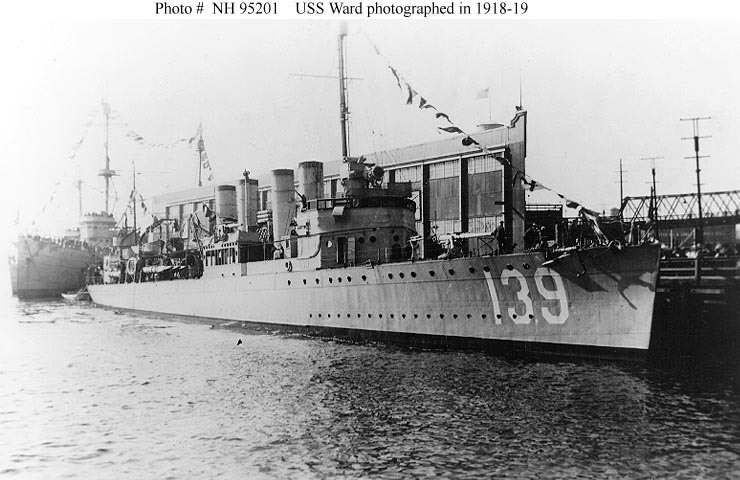 The divers faced extraordinary dangers, poisonous gas, unexploded ordnance, treacherous tides and the uncertainty of the destruction of the ships below the surface that could not be ascertained apart from diving on the wrecks. Utah too was not raised. 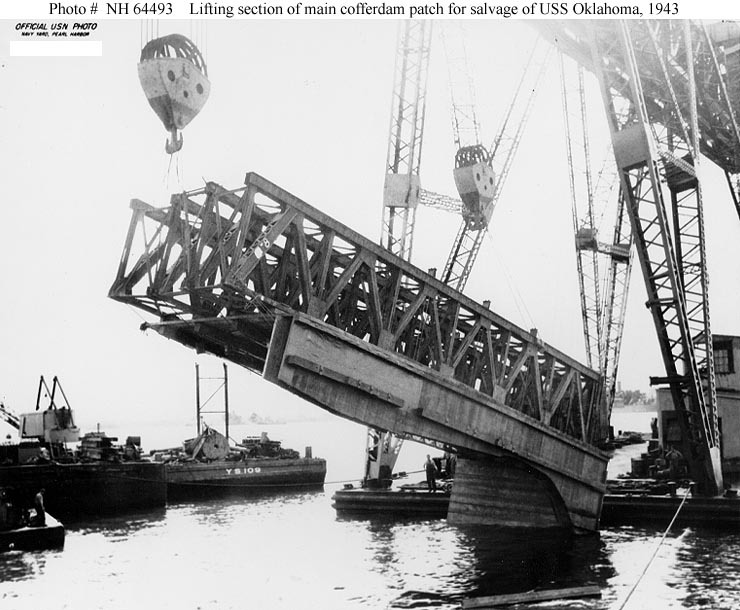 She was righted in 1942 but efforts to do more were halted because the elderly wreck had no remaining military value. 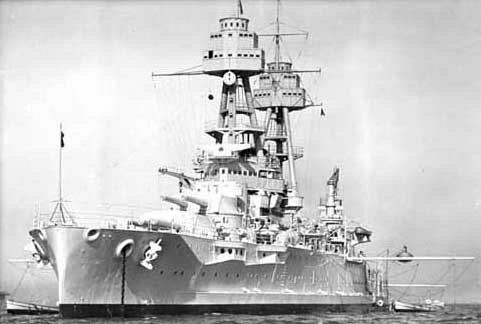 Her wreck along with that of Arizona are war graves, many of their crew members, including over 1000 of Arizona’s men forever remain entombed in their ships. 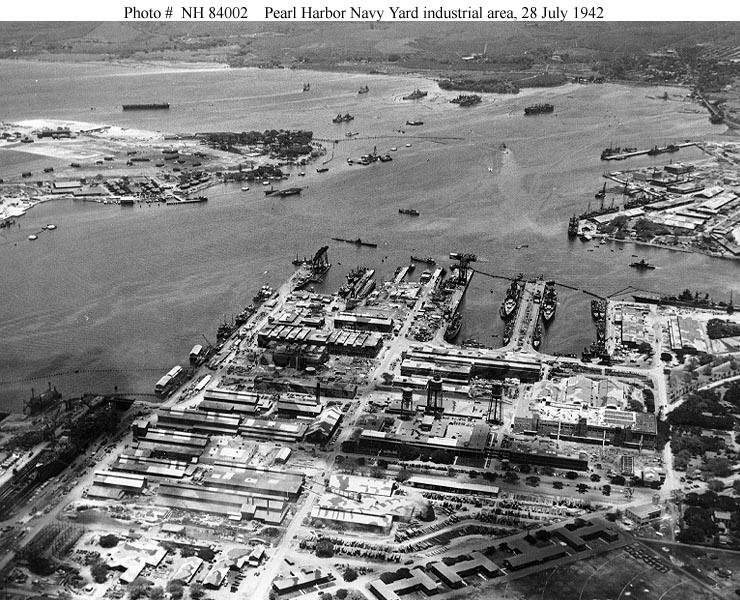 When I visited Pearl Harbor in 1978 as a Navy Junior ROTC Cadet and visited both memorials I was humbled at what saw. 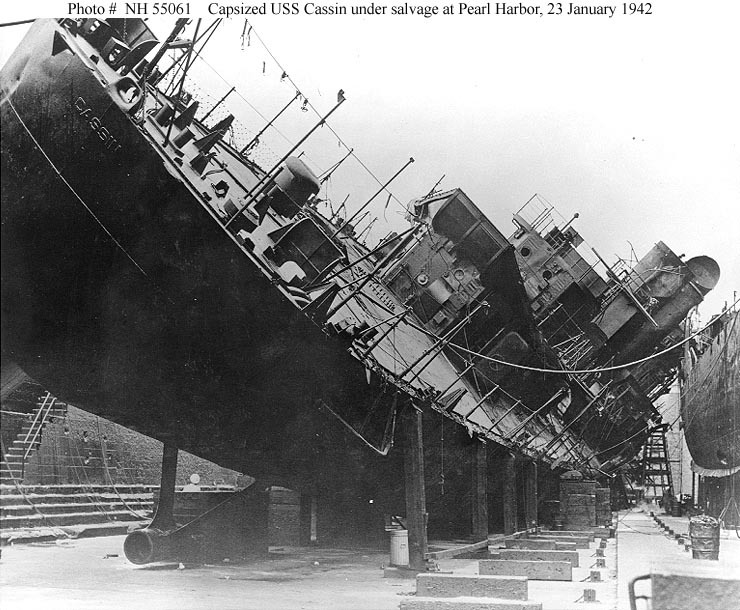 They are haunting reminders of the cost paid by sailors during wartime. 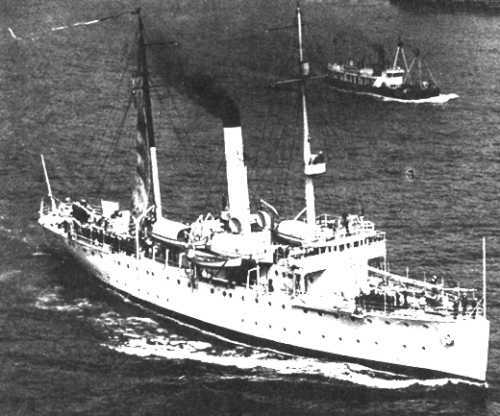 California was raised in March and after temporary repairs sailed under her own power to the West Coast. 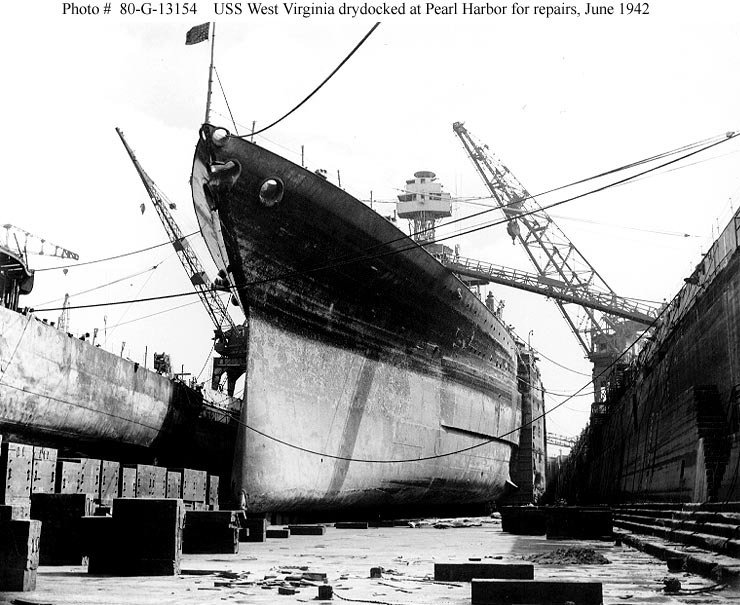 Her repairs and modernization were a major undertaking. 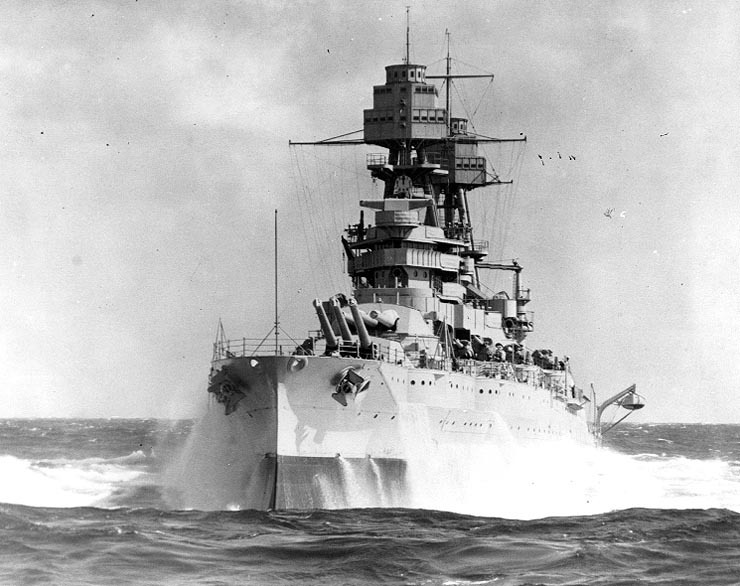 Fully reconditioned and modernized to standards of most modern battleships she returned to service in January 1944. 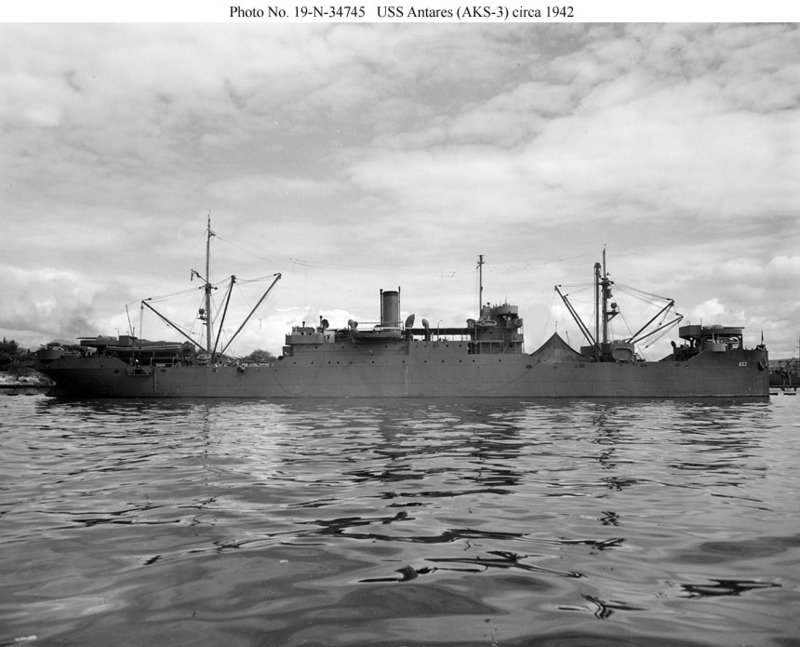 She served in retaking Saipan, Guam, Tinian as well as Leyte Gulf were she had a significant part in the Battle of Surigao Strait. 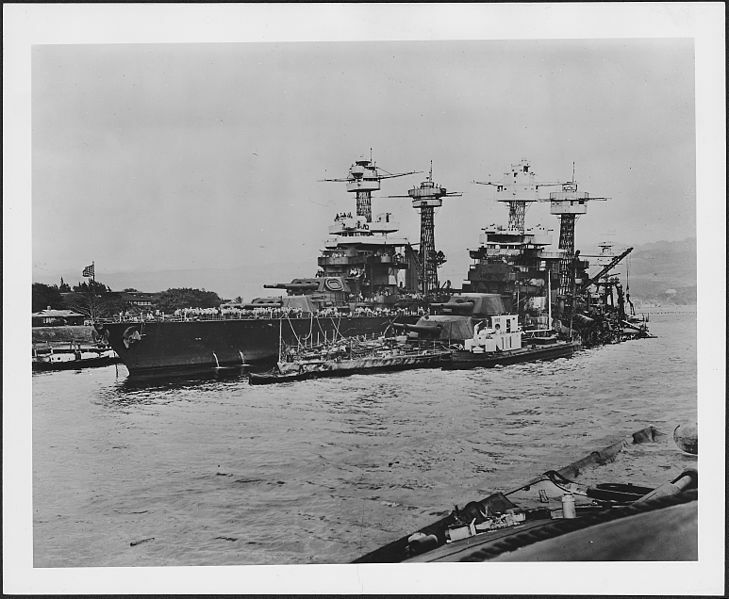 Hit by a Kamikaze she was repaired and returned to action at Okinawa and support the occupation operations of the Japanese Home Islands. 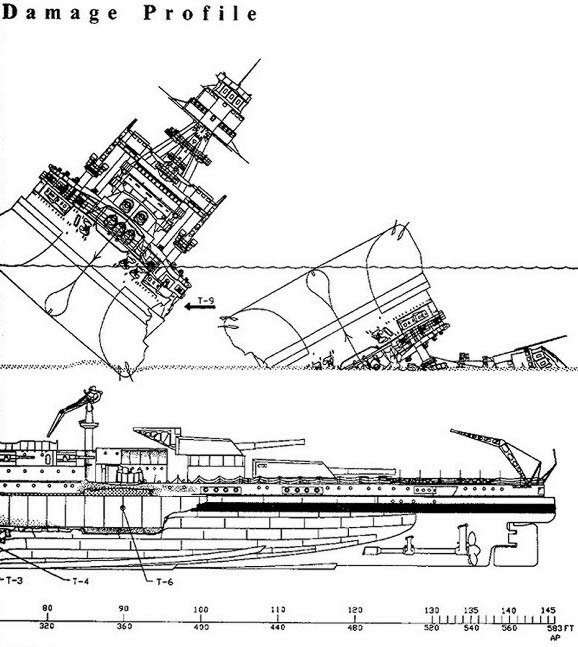 She was decommissioned in 1947 and sold for scrapping in 1959.